The Speed Exceeds Your Expectations. . . The Beauty Exceeds Your Imagination. In setting out to develop a new generation of newspaper presses, Mitsubishi Heavy Industries sought to achieve several primary objectives. 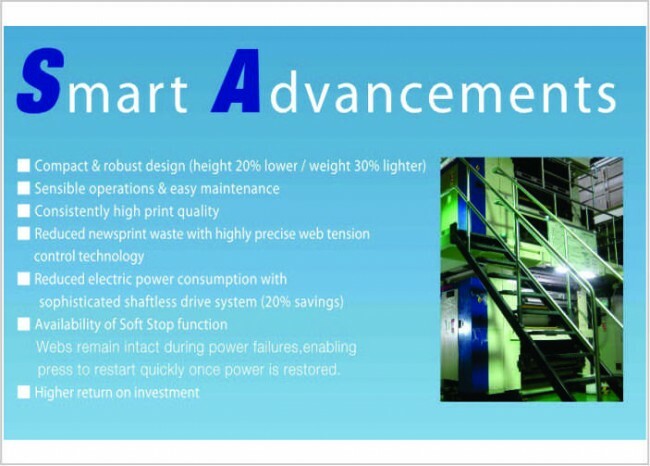 These focused on realizing a press that would offer the world's fastest printing speed, quality and productivity with each collectively contributing to lower operational costs. 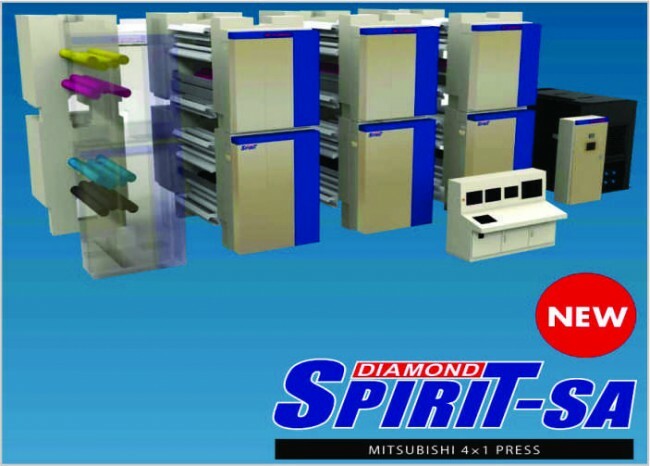 The Mitsubishi DIAMONDSTAR High-Speed Newspaper Offset Press is the product of these objectives. Boasting an unprecedented production speed of 90,000 copies per hour, the DIAMONDSTAR provides a viable solution to today's demands for higher printing speeds and greater productivity. The Mitsubishi DIAMONDSTAR is establishing newspaper standards today and defining productivity and quality standards for tomorrow. 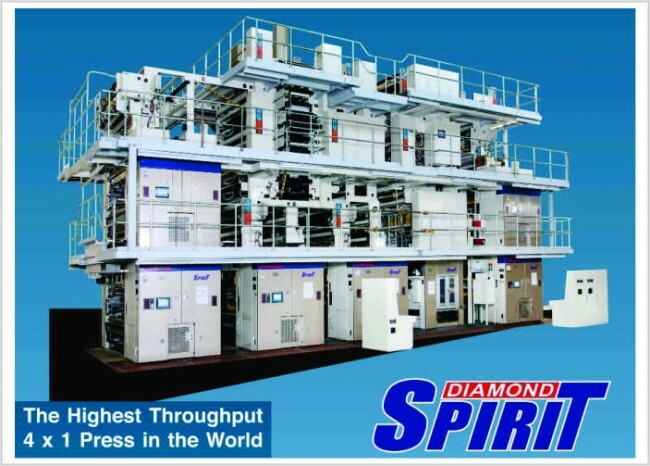 Mitsubishi has developed the fastest 4x1 shaftless newspaper offset press in the world-the DIAMONDSPIRIT. Narrow gap cylinders are employed for both plate and blanket cylinders to reduce vibrations. The use of double-diameter blanket cylinders stabilizes deflection of single-diameter plate cylinders and contributes to high-quality printing of 80,000 IPH. Moreover, the customer has the option of choosing either conventional blankets or metal-backed blankets. Obviously, the conventional blankets are less costly and help reduce overall operation cost.